In February, three teams of students from the International Masters in Security, Intelligence & Strategic Studies (IMSISS) took part in the Cyber 9/12 Strategy Challenge run by the Atlantic Council in partnership with the Royal United Services Institute (RUSI) and senior government and industry stakeholders. Twelve students participated across the three teams at the competition venue, the BT Tower. 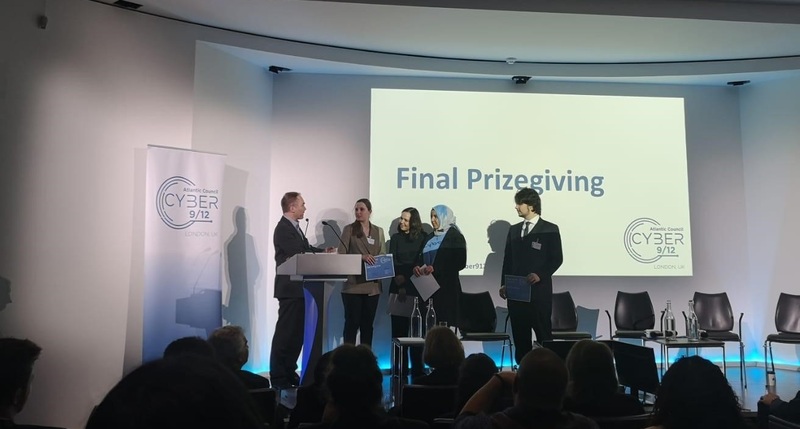 Team IMSISS Cyber Task Force was awarded the prize for Best Oral Presentation. Team Encryptonite, made it all the way to the final, coming third overall. The students were joined by Dr Damien Van Puyvelde, Lecturer in Intelligence and International Security, as their academic mentor for the competition. Dr Eamonn Butler, Director of the IMSISS programme, said: “It is fantastic that students have opportunity to take part in international competitions, such as Cyber 9/12, to learn and to test their ability in real time to respond to a crisis and present workable policy solutions to officials from government and industry. We were delighted that IMSISS students made such an impact within the competition. This showcases the quality and capability of the programme’s students”. IMSISS is a 2-year Erasmus Mundus Joint International Master in Security, Intelligence and Strategic Studies. Students study at the University of Glasgow, Dublin City University and Charles University Prague with an optional summer school at OTH Regensburg. This is the seventh year the Challenge has run globally, and the second year in the UK. 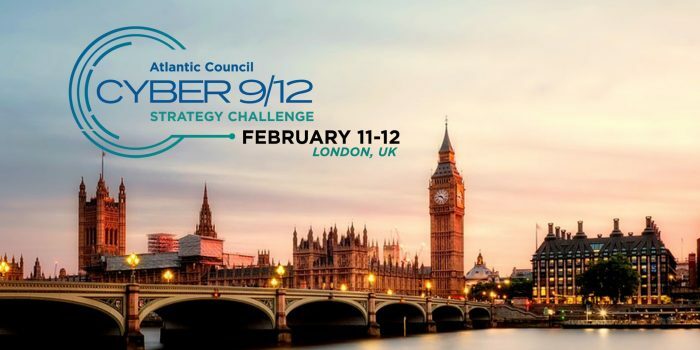 The London edition is one of six events running in 2019 (others taking place in Austin, Washington DC, Lille, Geneva, and Sydney). This is the second year in which IMSISS students have taken part. To read more about Team Encryptonite’s experience please click HERE.